After movies like Blast From the Past and The Mummy, Brendan Fraser solidified himself as one of my new favorite actors. 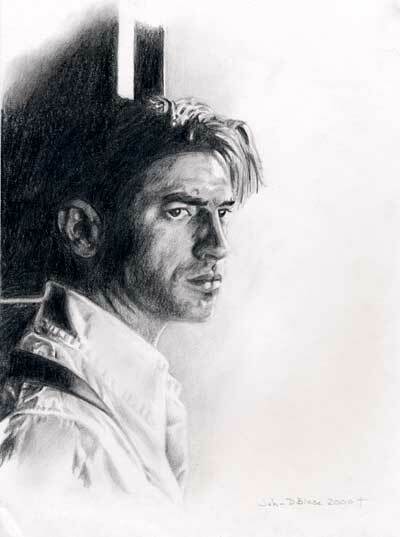 I did this sketch in the spring of 2000 and the photo is from the his 1999 film, The Mummy. One funny fact about the drawing is while working on it, I had showed it to my new Illustration class teacher in college to get her input on all the space in the background. Little did I realize I was showing her what I could do (if I wanted to– with God’s help) and setting her expectation levels for me really high. A stupid move that I don’t recommend doing early in a college art semester. Previous Info On How To Get Drawing Prints!